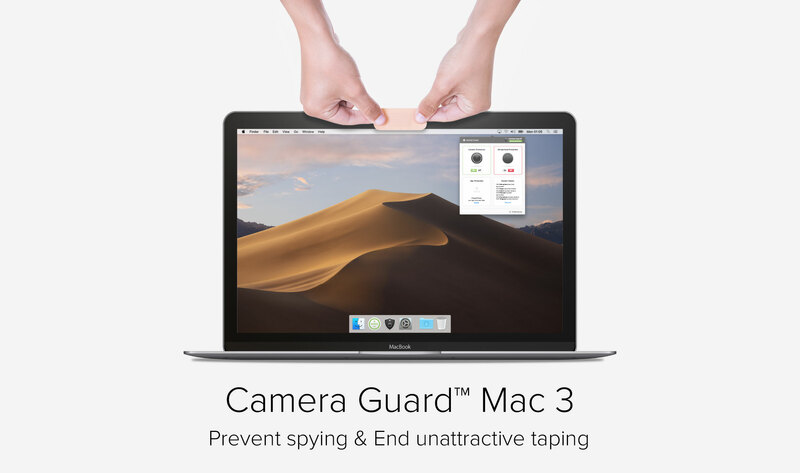 Miami, Florida – ProtectStar today is proud to announce the release and immediate availability of Camera Guard Mac 3 for macOS, a new upgrade to their popular security solution. The app protects any Mac’s built-in web camera and mic from being accessed by hackers, trojans and spies including latest spyware. Version 3.0 brings improved protection against unauthorized access to the Mac microphone and webcam, plus it now offers users of shared Mac computers to easily pin protect any app on their Mac. Camera Guard Mac app sits quietly in the background, monitoring the Mac’s built-in microphone and webcam for any unauthorized access attempts. The app efficiently blocks any detected attempts, while also alerting the Mac user to the attempts. The utility blocks both known and unknown attacks methods, thanks to its exclusive “Deep Detective” feature. Users of shared Macs can pin protect their personal apps like Apple Mail, Photos, Contacts, Safari, and even games can be prevented from opening without the correct pin. With a quick entry of a 4-digit pin, the apps are protected from unauthorized access by other users. This new feature is the perfect solution for parents who share their Mac with younger family members and worry their kids might access things they shouldn’t. “When we discovered that illegal monitoring of Mac users via their Mac’s webcam and mic was on the rise we created Camera Guard Mac in 2016, which offered complete protection against unauthorized access of your Mac’s web camera and microphone,” says Chris Bohn, CEO of ProtectStar The new version of the app offers numerous new features, including improved access detection, protection against Mac ransomware, a whitelist for allowed apps and processes, and support for the Apple’s Touch ID sensor that’s found on the latest models of the MacBook Pro. Camera Guard Mac 3 still includes ProtectStar’s exclusive “Deep Detective” feature, which monitors all attempted access to any protected Mac. While offering proactive protection that is similar to other companies’ firewall, Deep Detective also reports against both known and unknown attacks, via its modern heuristic methods. 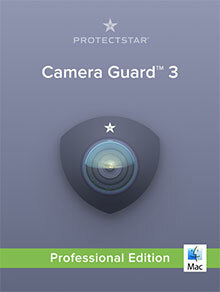 Camera Guard Mac 3 Professional is $19.90 USD (or an equivalent amount in other currencies) and includes 12-months of updates/upgrades and technical support by ProtectStar’s Support Heros. A Care Plan option is also available for $49.00 USD, and includes 3-years of updates/upgrades and premium technical support by the ProtectStar Support Superheros. Founded in 2004 by Chris Bohn, Miami, Florida-based ProtectStar Inc. was established with the single intent of offering innovative security solutions for individuals and corporations alike. The company offers a number of security-enhancing solutions for Mac, iOS, Android, and Windows users. The company currently serves over 1,000,000 satisfied customers worldwide. All Material and Software (C) Copyright 2019 ProtectStar Inc. All Rights Reserved. Apple, the Apple logo, Macintosh, Mac OS X, and macOS are registered trademarks of Apple Inc. in the U.S. and/or other countries. Other trademarks and registered trademarks may be the property of their respective owners.